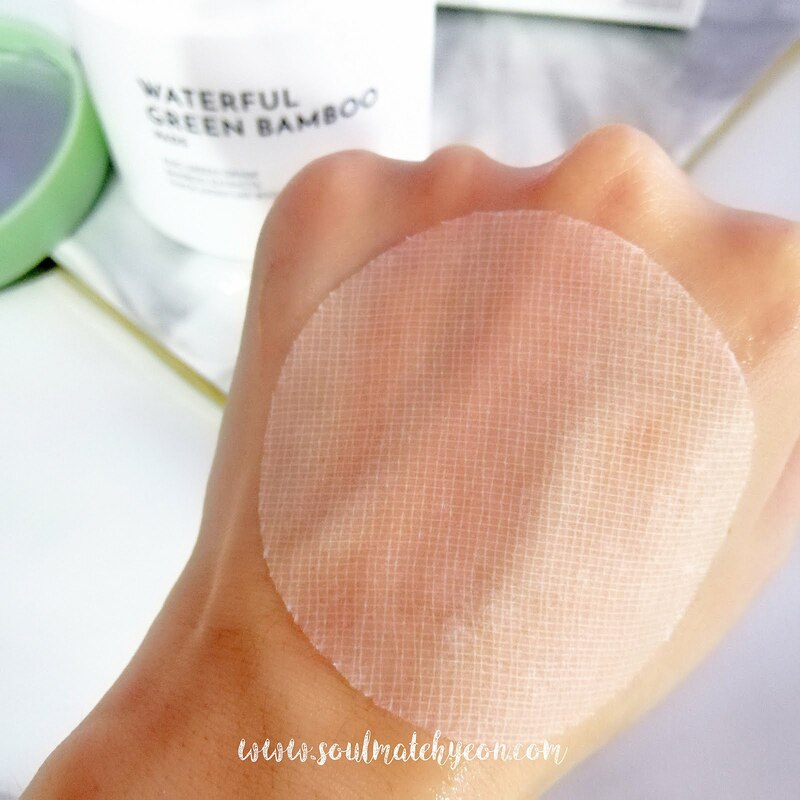 Moisture pads that instantly soothes and deeply moisturizes the skin just in one step. Easy. What are the key ingredients and their functions? Bambusa Vulgaris (a.k.a. Bamboo) extract which is rich in minerals and amino acids that deeply penetrate into layers of skin to hydrate while protecting skin barrier with moisture. Salix Nigra (Willow) Bark Essence which has good anti-inflammatory and antibacterial properties. 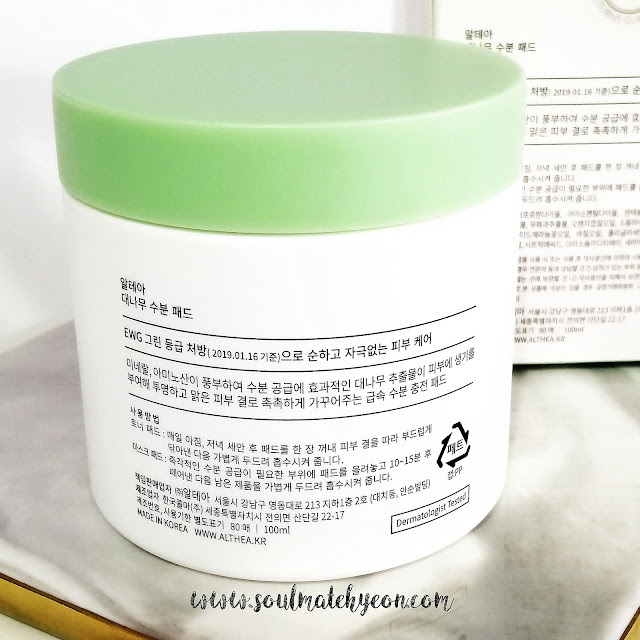 Centella Asiatic Extract which has good healing properties that treats and repairs damage skin. 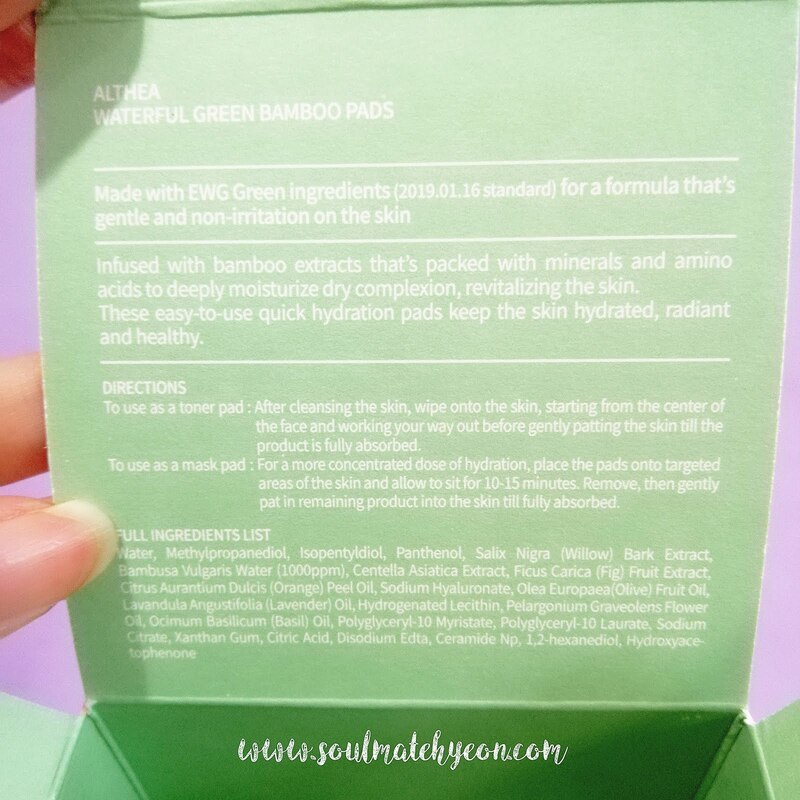 Using only EWG green (1-2) grade ingredients (based on the standard as of 2019.01.16) to ensure no harmful ingredients on skin. Hence, it is safe to use even for sensitive skin. **EWG Grade: Safe ingredients tested and chosen by American environment NGO. 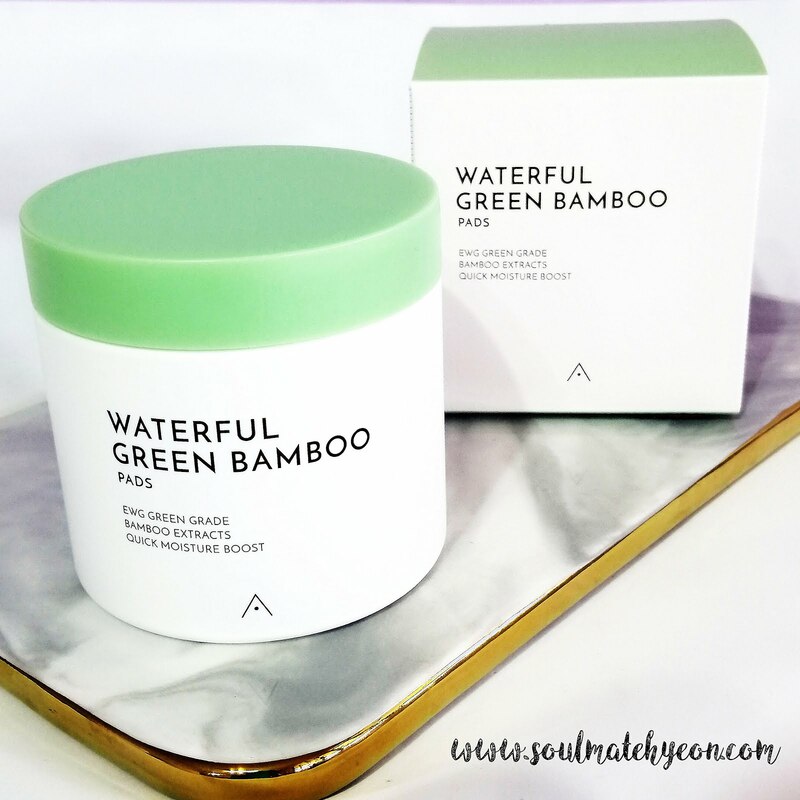 As you can see (below), it comes in an opaque plastic container with a green twist-able lid. 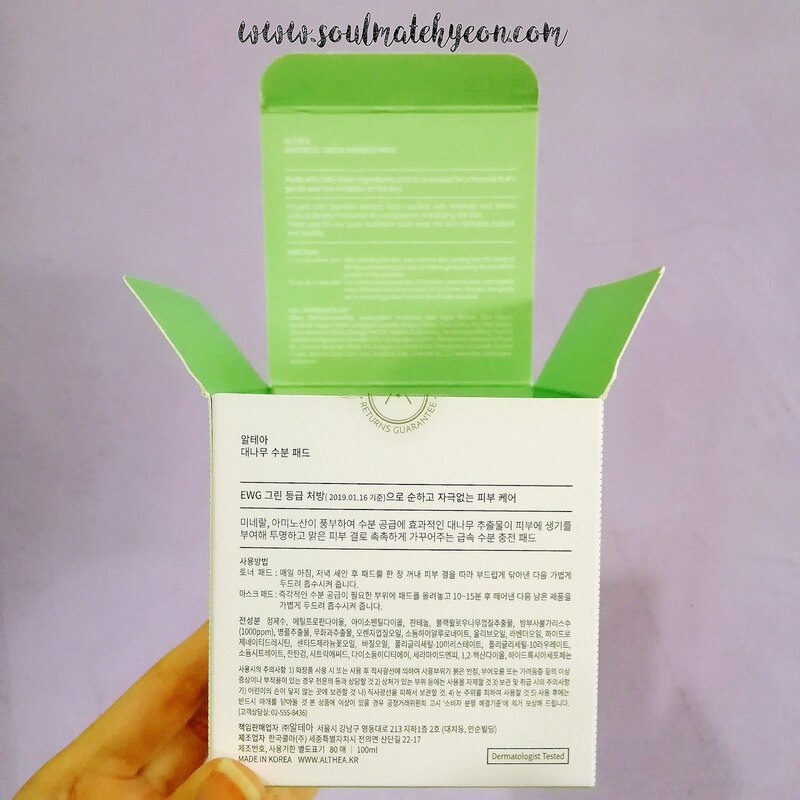 Product description is originally in Korean and printed on both the container and the outer box packaging. Nevertheless, the English version of product description can be found printed on the inner side of the box packaging (as shown above). This is really handy because you need not to go to their website in order to check on the information. 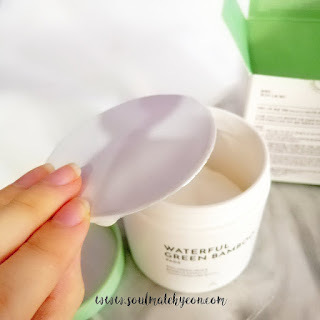 There is a protection lid to secure the moisture pads at its highest hygiene. 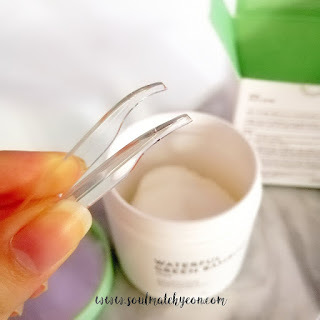 And a small plastic clip for taking out the moisture pads without using bare fingers (as below). 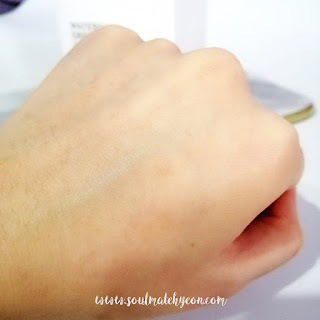 As a toner pad - After cleansing, wipe across the skin and gentle pad on the skin until absorbed. As a mask pad - Place the pads on targeted areas and let it sit for 10-15 minutes for more concentrated hydration. 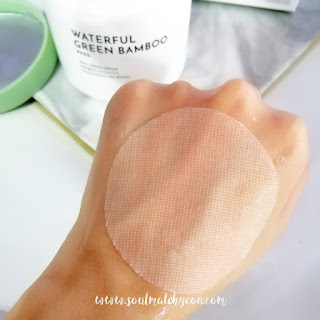 Since it is lightweight water type texture, I think it's perfect to use as toner and/or daily mask. The moisture pads are made using a mix of Eucalyptus and Tencel to create a natural cotton gauze that allows the essence to absorb well into the skin. Look how well-fitting and smooth the moisture pad on the skin! 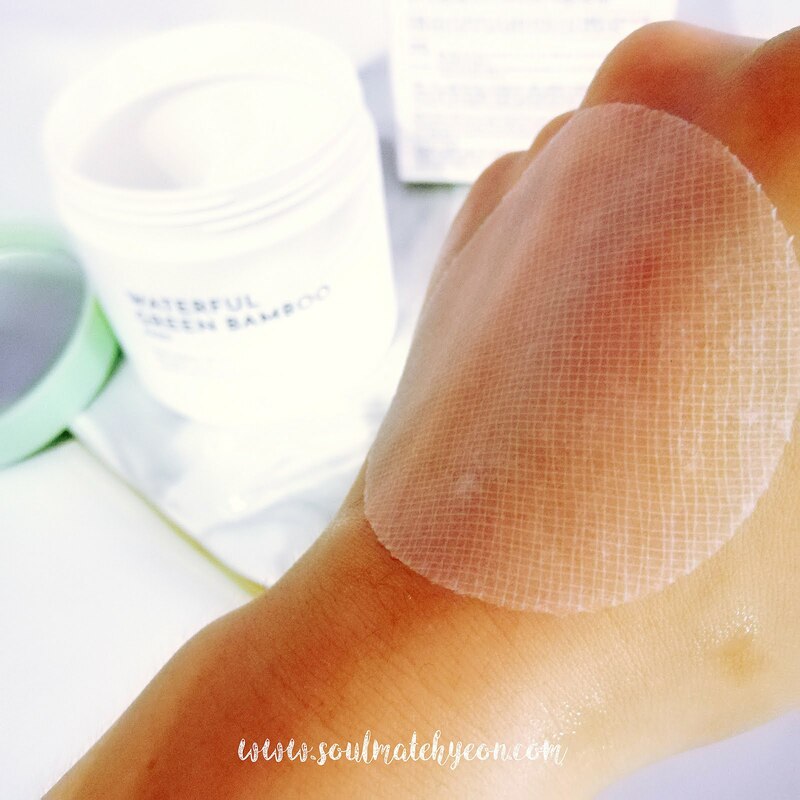 Between the two suggested usage, I prefer these moisture pads as the on-the-go instant boost. 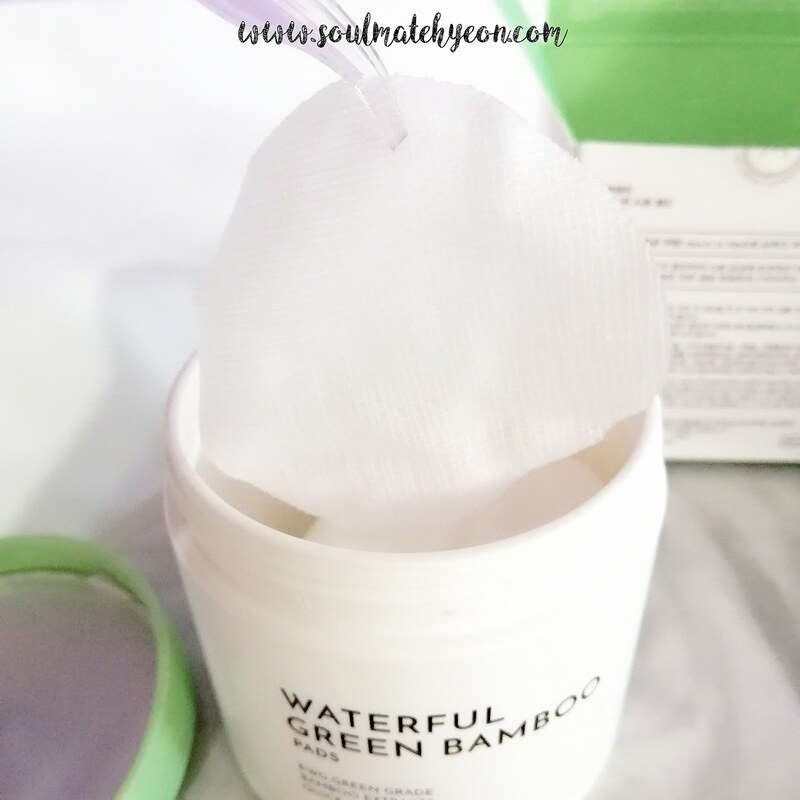 When you need a quick hydration on certain areas (i.e. cheeks), but sheet mask is too extra - this is it. In spite the gauze-like thin pads have better adhesion, it can be tricky to separate them and take out because they tend to stick together. 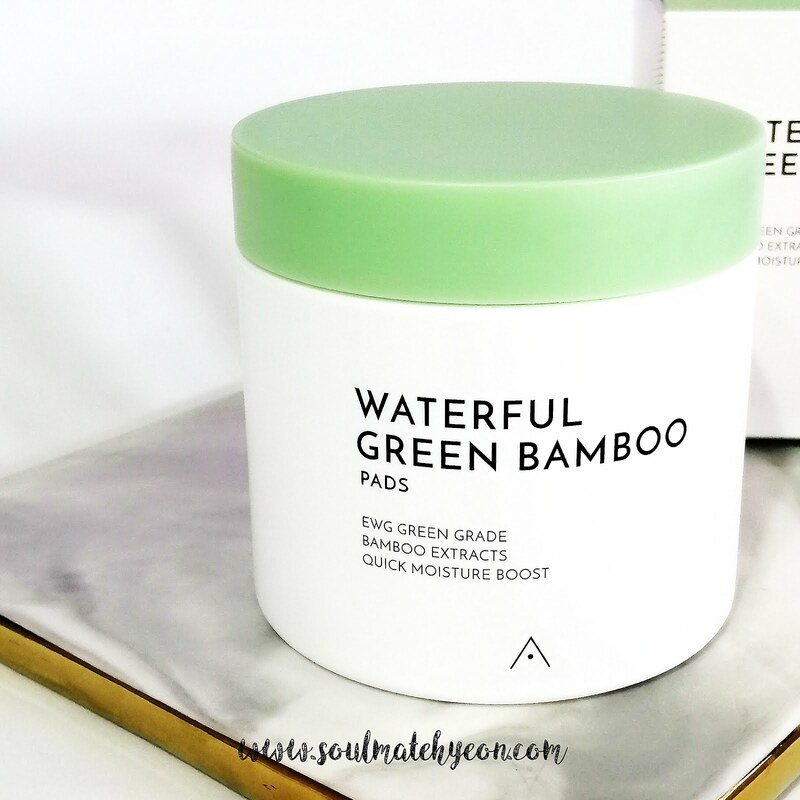 This Waterful Green Bamboo Pads are exclusively available on Althea Korea for RM54.